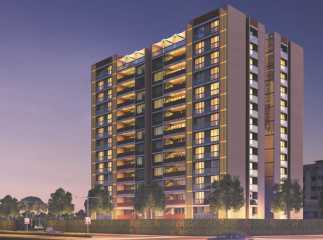 Ahmedabad is one of the most important cities of the country, and is noted for its growing real-estate industry. Commercially, Ahmedabad promises tremendous opportunities to the people. In the last few decades, several residential estates have come up in the region. The leading developers have showcased their architectural mastery in the sophisticated interiors and elegant floor planning in these residential complexes. Evidently, the demand for property in Ambli, in Ahmedabad, has increased over the years. If you are on the hunt for quality homes in the region, you can book your apartment now. The projects in Ambli are noted for their central location and the availability of easy transportation facilities to the important places. The demand for property in the area has risen in the last few years. The prices of properties in Ambli are also rapidly shooting up. If you are willing to buy an apartment in the residential complexes in the region, this is the right time to invest. The apartments come with elegant interiors and polished furnishings. You will enjoy the wide balconies and large windows in the apartments. Well-ventilated flats, with all the amenities you need await you at the plots in Ambli. People with a fascination for green living will enjoy their lives in the estates. Large open areas with landscaped gardens and wide patches of greenery dominate the residential complexes. A large number of trees form a green cover in the residential complex. Apart from this, people moving to the flats in Ambli will enjoy the refined social infrastructure in the region. Several shopping malls and multiplexes are located close to the residential areas. You will enjoy a cultured lifestyle when you move to these apartments. The transportation system in Ahmedabad is well-developed, ensuring a swift navigation for the residents throughout the city. You can easily reach the commercial areas and other places when you move to the apartments in Ambli. A large number of blue-chip companies are coming up in the Ahmedabad. Employment opportunities are high and this is one of the key reasons leading to the demand for quality homes in the region. The educational and healthcare infrastructure in the area is well-developed. A large number of schools, colleges and hospitals are located close to the villas in Ambli. The important schools in the area include The New Tulip International School, Satyameva Jayate International School, Anand Niketan Group of Schools, DAV International School, Zebar School for Children, Delhi Public School, Ahmedabad International School, Adani Vidhya Mandir School, and Vidyanagar High School. The important hospitals in this region are Devasya Kidney Hospital, Shreeji Children Hospital, Adwait Hospital, Life Care Hospital, Global Hospital, Columbia Asia Hospital, Sterling Cancer Hospital, Krishna Shalby Hospital, and Aditya Orthopedic Hospital. Well, if you are planning to invest in an upcoming project Ambli Ahmedabad, you should make your move now. These residential complexes come with 2, 3 and 4 BHK apartments, customized for both high-end and middle-income buyers. 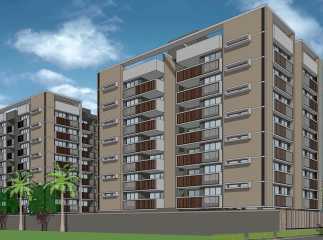 You may buy property in Ambli Ahmedabad for commercial purposes or residential use. The prices of apartments in the region are rising. Cherish quality homes with sophisticated amenities and live up to your housing dreams.